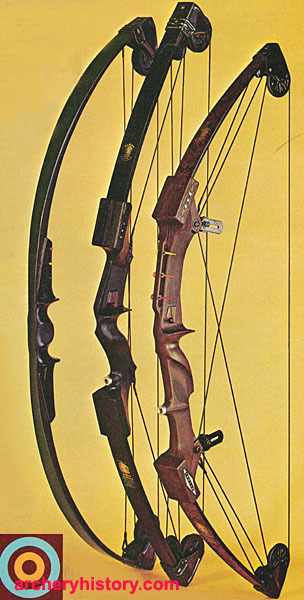 later converted to two wheel version. 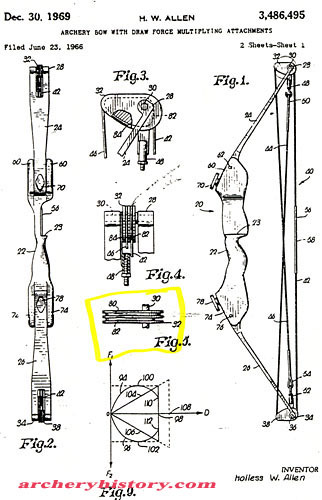 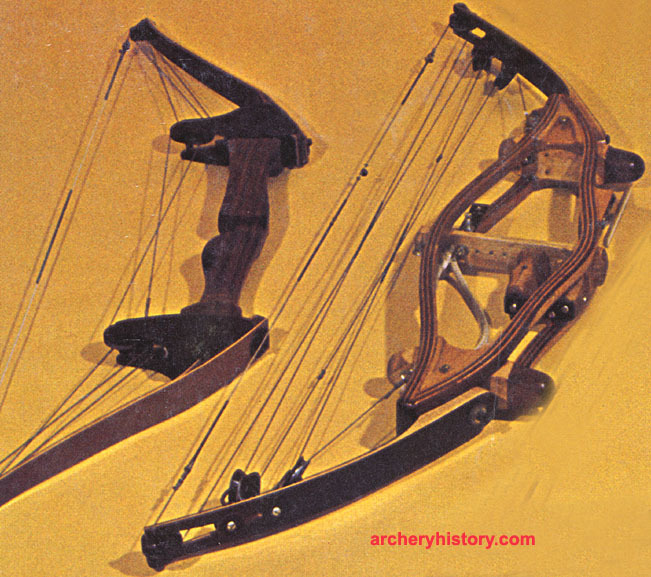 Has a swivel grip and early original V steel arrow rest. 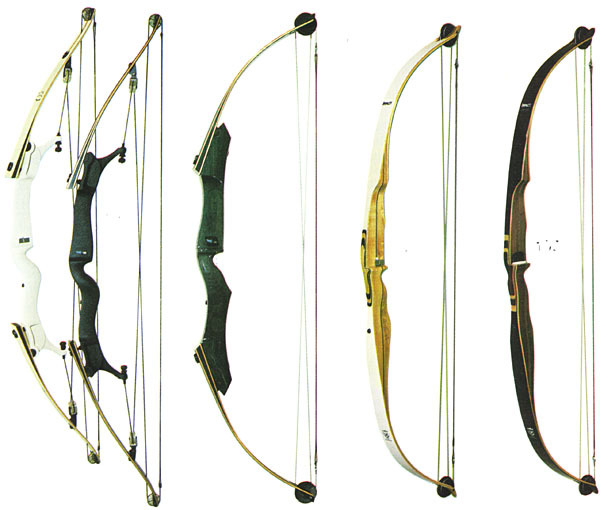 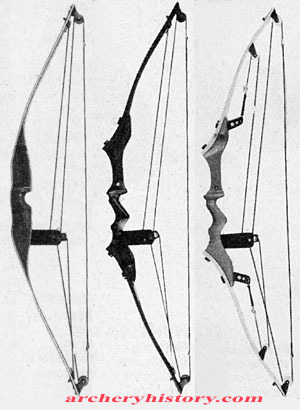 in recurve, four wheel and two compounds versions. 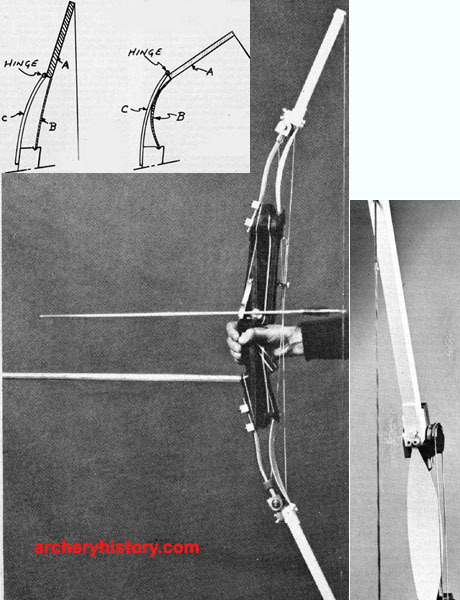 Jim Sweeney and Tom Dorigatti made a 4" longer version for finger shooters with Plexiglass custom made grips. 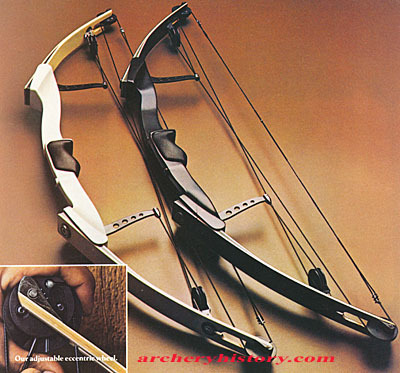 adjustable idler wheels for weight adjustment and a plastic molded riser. 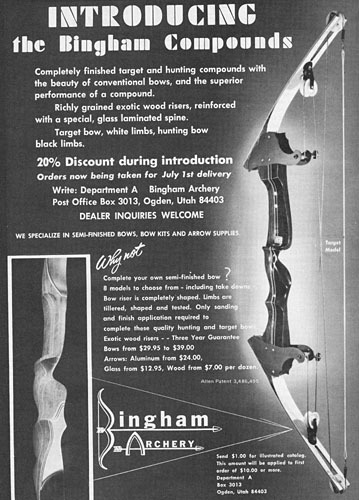 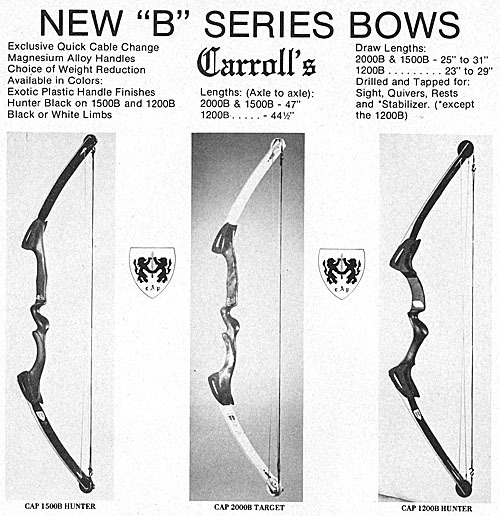 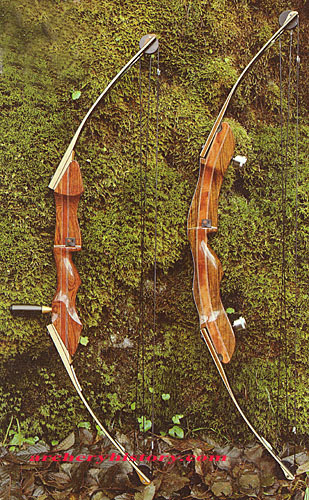 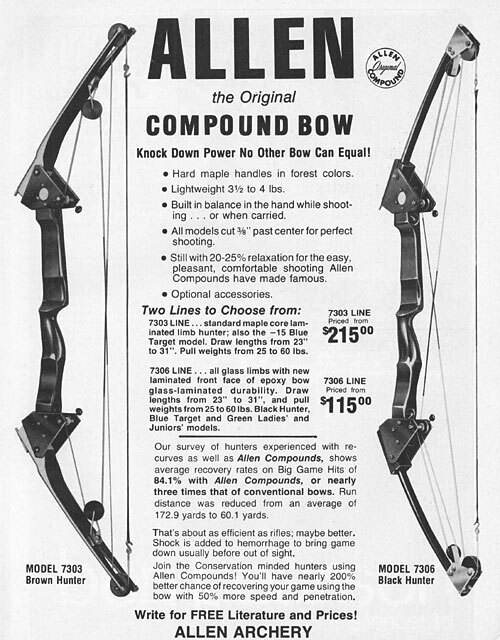 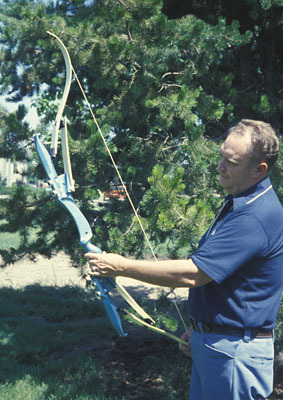 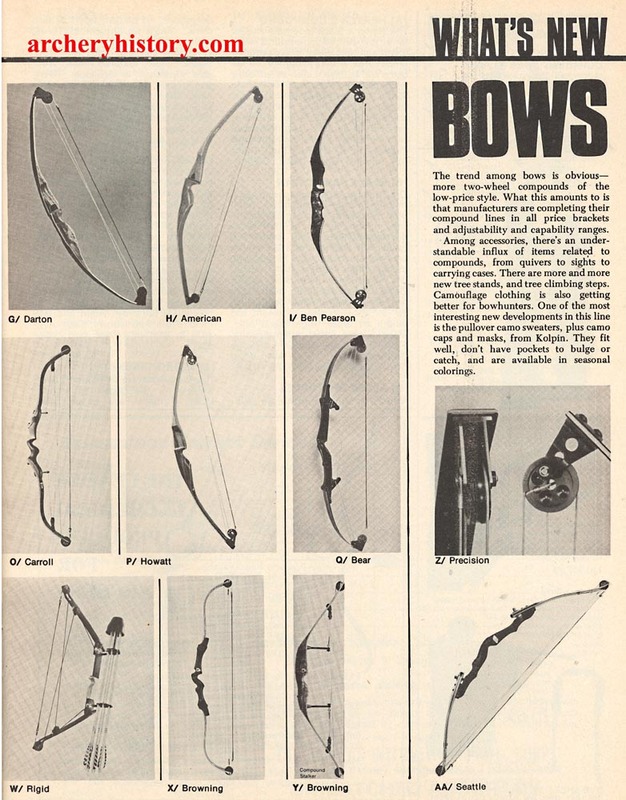 There were very few of these bows produced. 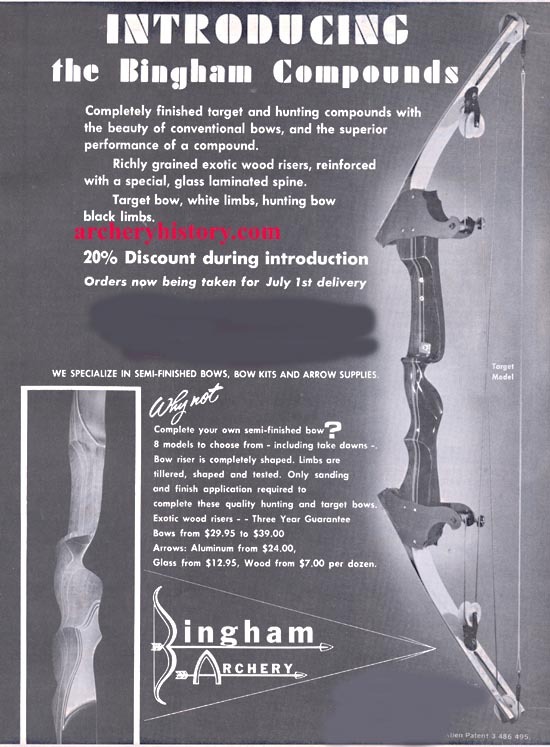 The company was in business for less than a year. 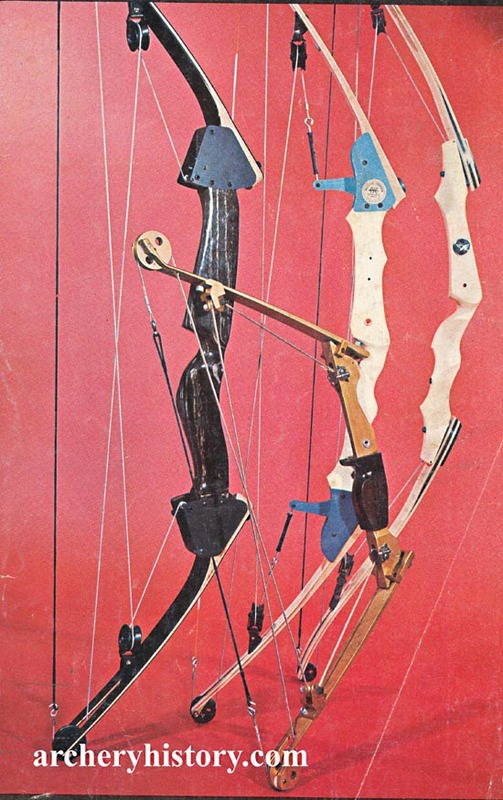 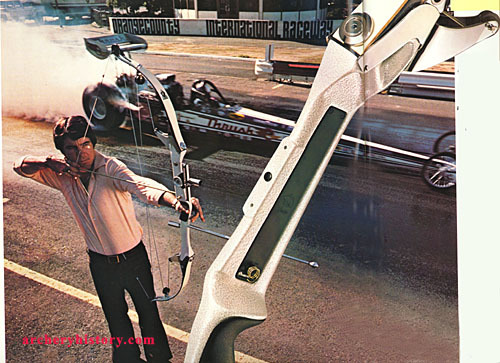 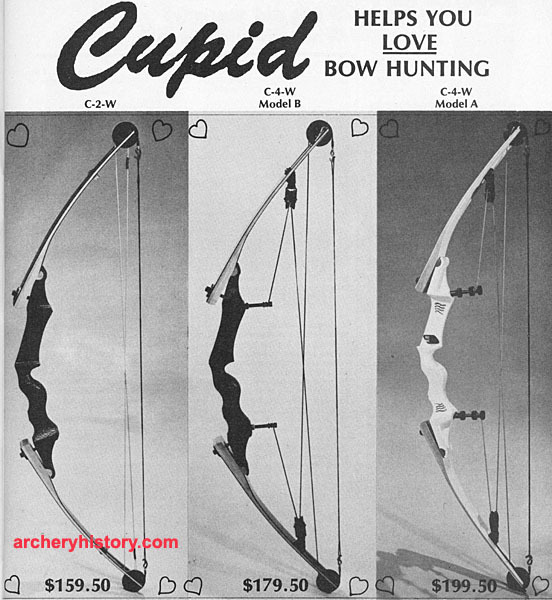 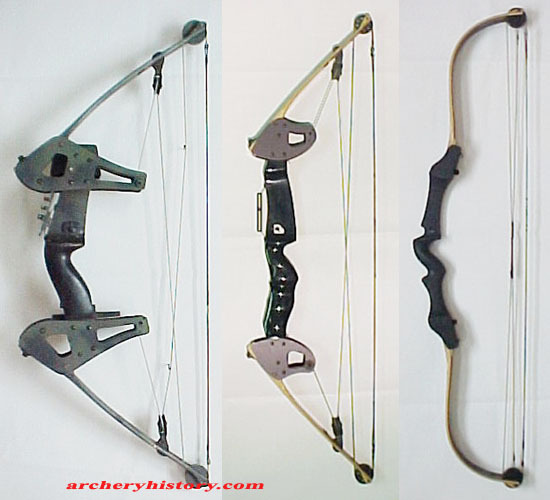 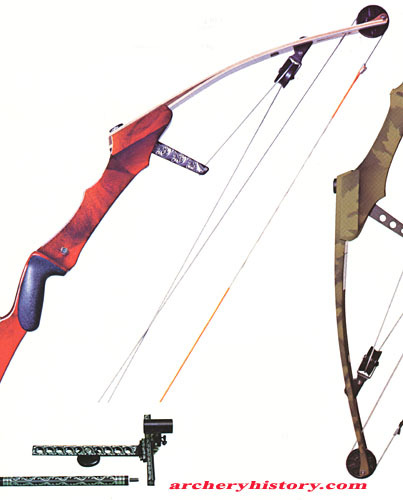 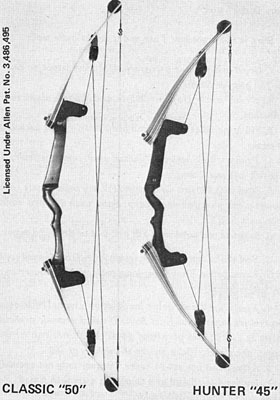 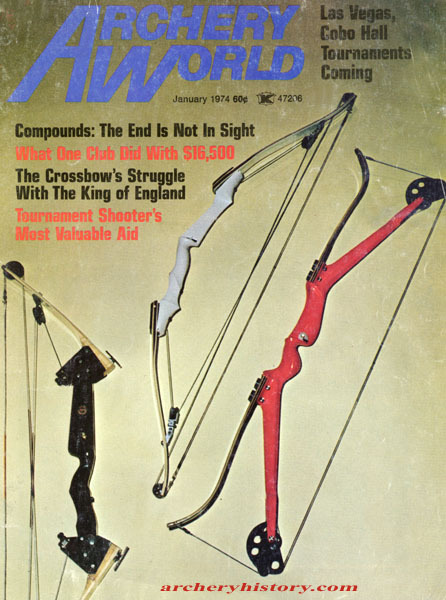 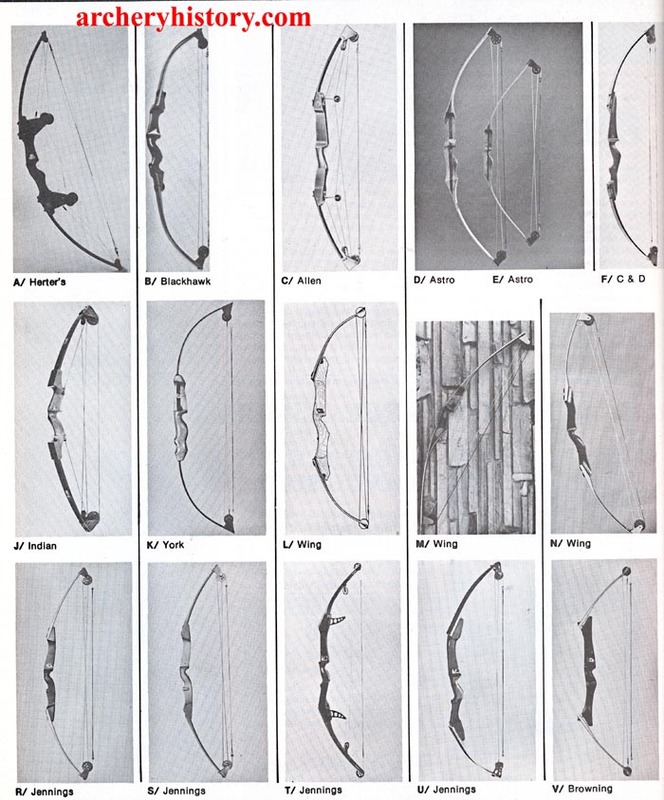 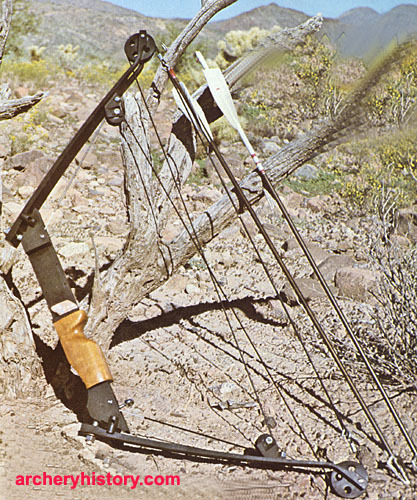 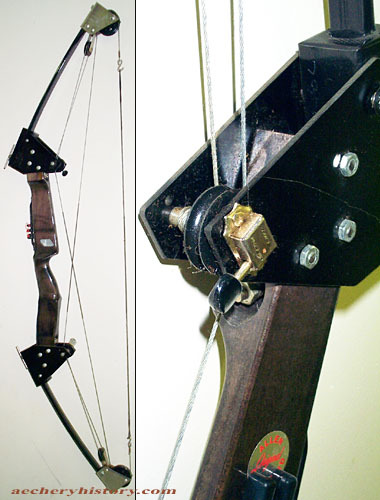 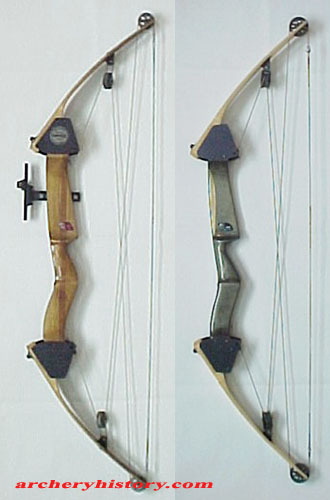 Bonnie Bowman "Classic" and "Hunter"
axle to axle 50" and 56"
Gail Martin with prototype double limb bow made from a Kam-Act riser with test aluminum sections with roller bearings in track groove. 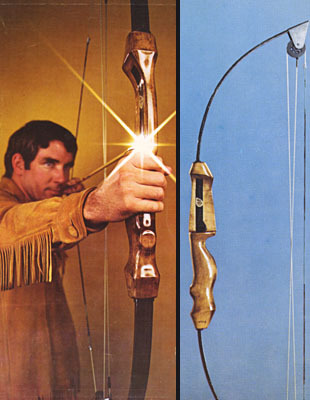 (1976) Riser is made of Shedua and Bubinga. 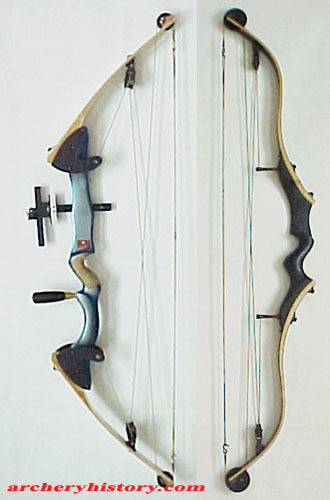 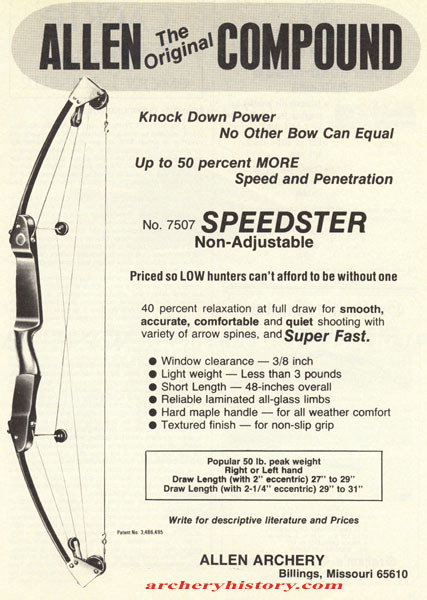 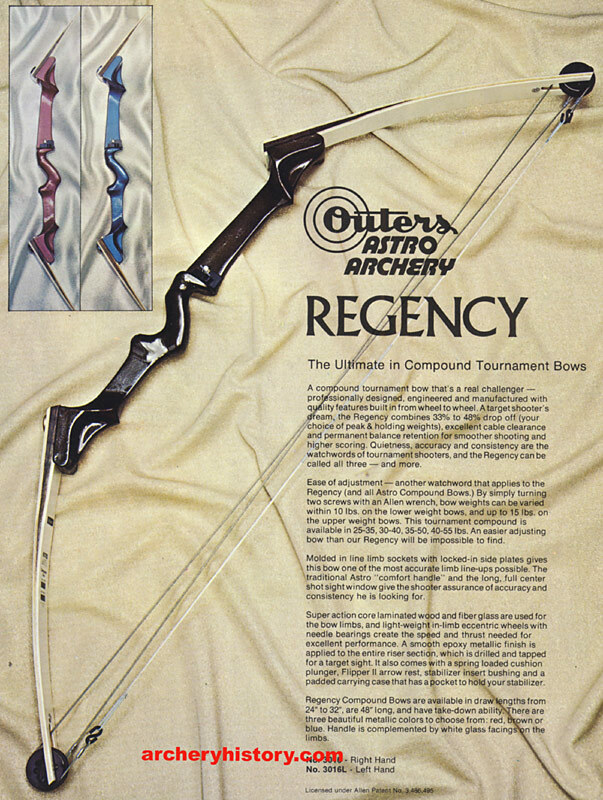 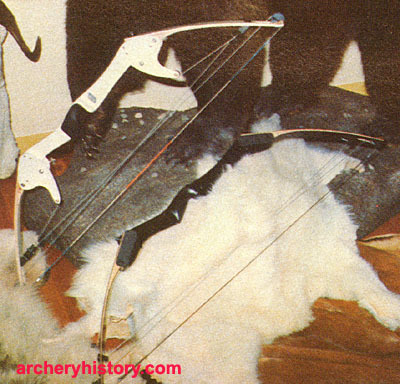 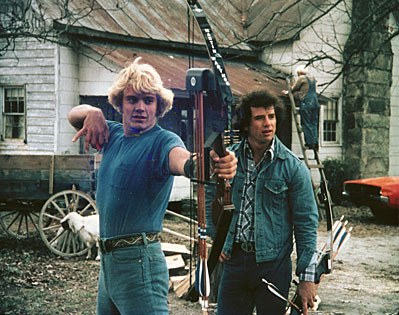 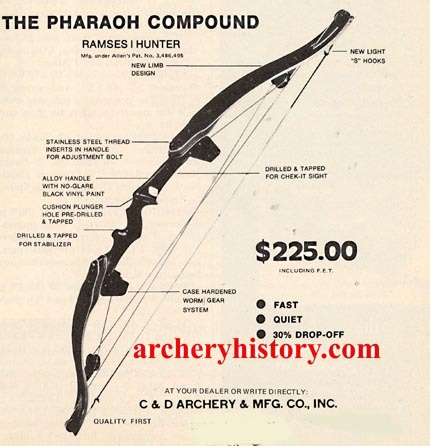 This bow was made of a one piece strip of fibreglass with the riser molded on the strip. 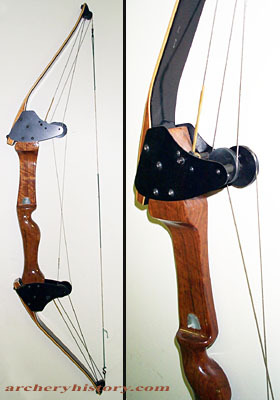 Brace height is about 12"
a total mass weight of about 5 pounds. 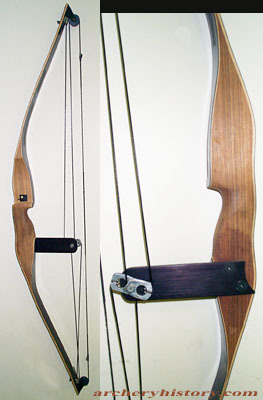 and limb base to form a knife edge bearing. 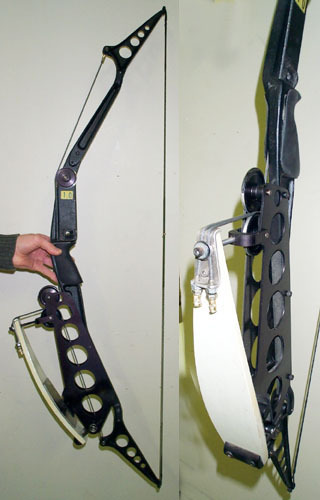 Limb synchronizing wheel and crossed cabin system is shown on the bow.